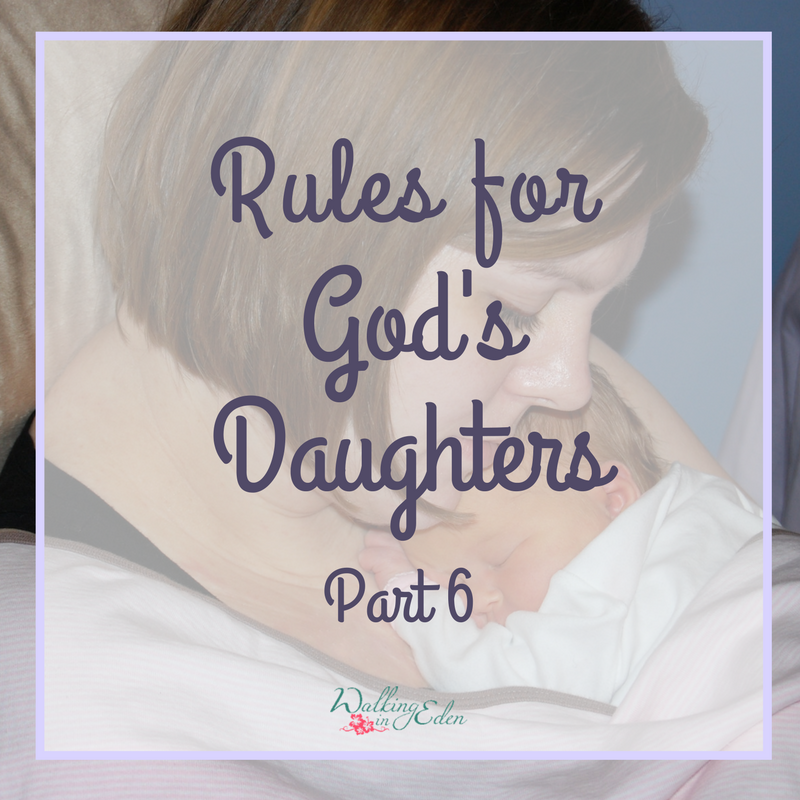 We’ve made it to the final six points of our list of “Rules for God’s Daughters”! You can read all about the inspiration for this list in “Rules for God’s Daughters: Part 1“. So to recap: This list really resonates with me as the mom of a young daughter. But it also set off some warning bells. The Bible says to “test everything” (1 Thessalonians 5:21), because one of the devil’s greatest weapons is subtle lies: things that look good or feel good but are just a little twisted from God’s truth. God’s ways are not our ways, and his wisdom will seem foolish to the world. The world’s wisdom looks so good, but held up to the light of Scripture the devil’s lies show through. So I challenge you again: “question everything” and test it against Scripture. So then, here are points 26-31! 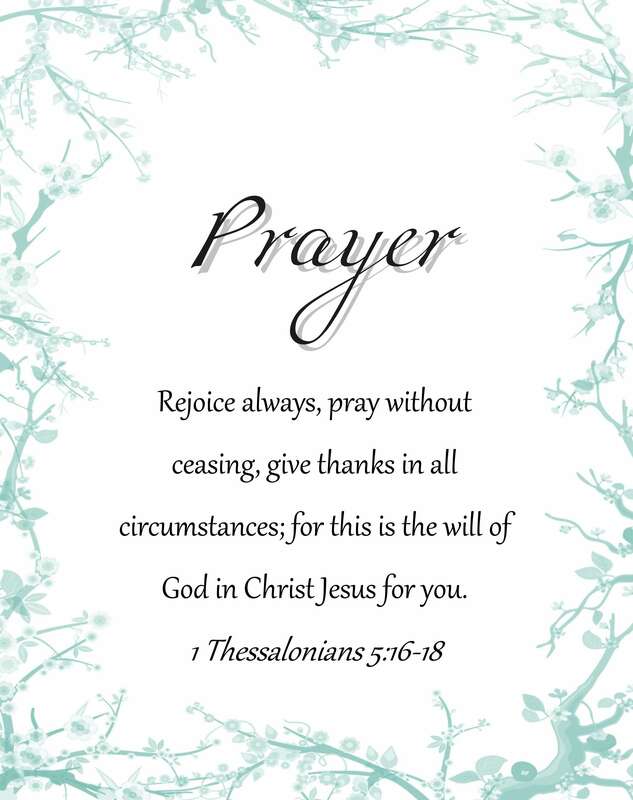 God’s version: Say Please, Thank You and Pardon Me, whether the situation warrants it or not. The Bible has a lot to say about the “Golden Rule” and how to behave toward others. There are absolutely situations we should simply avoid or escape when necessary, but in general, we are to always act with courtesy and grace, even when others don’t react in kind. In a culture that insists the rights of self over the consideration of others, teaches us to put self first, and takes offense at everything, it can be so hard to put others first. Giving up our own rights out of love for each other takes just that – love. And it’s not in us naturally; we need Jesus, the perfect example of humility and love. God’s version: Say I’m sorry, and be truly sorry. I agree that “I’m sorry” should not be used flippantly. But I also believe that if you’ve wronged someone, then you need the humility to choose to be sorry, even when you don’t feel that way. We all know how hard it is to forgive someone who hasn’t apologized, and yet we all want forgiveness for ourselves. But how hard do we make it for others to forgive us if we don’t choose to be sorry? When the Holy Spirit reveals our sins to us, Scripture is very clear that we are to repent of our sins. If we’ve wronged someone, we’ve sinned. I love me some napping. But, like so many other things in life: do it in moderation. God has a lot to say about rest (which of course is more than napping). On the flip side, he also has a lot to say about laziness. If you are sick or sleep-deprived then I think a nap or three are certainly in order. However, if you’re napping every day out of laziness (we have to be honest with ourselves here, I think) then it may be an issue. God values rest but abhors laziness. The following verses can seem contradictory at a glance. But study the subjects of rest and laziness throughout the whole of Scripture and you will see a balance there, a harmony. There is a big difference in taking a needed nap and being a sluggard! God’s version: Question everything except Scripture. God created intuition, and the Holy Spirit often speaks through our intuition. However, it’s still just intuition, and susceptible to listening to lies and not only the Holy Spirit. So: test what we hear, think, or feel against Scripture. Because the more grounded we are in the Word, the more it becomes part of our daily experience, and the more reliable our intuition will be. Also, the more wisdom we will have to know the Scripture in our hearts and minds. We don’t need to have more or be more. Instead, we need to practice contentment and gratitude. This is such a huge topic that I can’t even begin to cover it in a few short sentences in a blog post! While I don’t want to ignore the reality of poverty, most of us have enough and then some. God’s given us everything we need to live and to do whatever he’s called us to do. Now there is great gain in godliness with contentment, for we brought nothing into the world, and we cannot take anything out of the world. But if we have food and clothing, with these we will be content. But those who desire to be rich fall into temptation, into a snare, into many senseless and harmful desires that plunge people into ruin and destruction. This is true! We are fearfully and wonderfully made – we are amazing! Because God made us that way! So then, anyone that treats us as less than God’s daughters (and sons) is not healthy for us, and we may need to walk away. We can still love people – and yes, forgive them too – without sticking around for more abuse. God loves you! This is a message that every heart needs to hear. So that’s all 31 rules, and what the Bible has to say about them! I pray that I can teach them to my daughter – and practice them myself.